We’re hoping that AMD’s mainstream Zen 2 (7nm-based) processors are set to be unveiled before too long, and fresh speculation has spilled some details on a sample engineering chip. 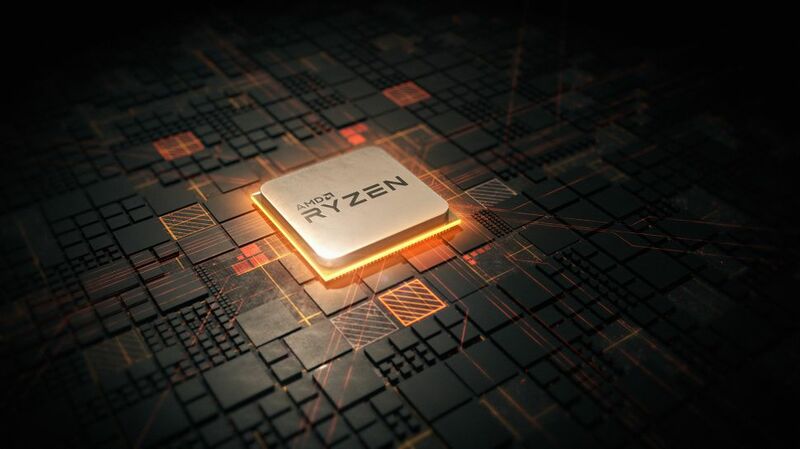 If the information, which comes from a forum member at HardOCP (apparently with some pedigree concerning AMD rumors, according to Wccftech), is correct, then the Zen 2 (Ryzen 3rd-gen) processor has 8-cores and 16-threads with a base clock of 4GHz and boost to 4.5GHz. This actually originates from AMD Radeon Technologies Group, apparently, which needed an early engineering sample of the CPU to ensure that video card drivers played nice with the chip. Apparently it was tested in conjunction with a Radeon RX Vega 64 Liquid graphics card and an AMD motherboard. The downside is that there was a lot of crashing involved in the testing, according to the source, who indeed noted that some tests had to be run many times because they failed to finish repeatedly. But we can’t draw any conclusions from that, because a level of instability is to be expected with early sample hardware. The source of the rumor further specified that the chip was “already nibbling at the Core i7-8700K” in terms of performance. That said, you would hope it would be – that Intel processor is a 6-core part with a base clock of 3.7GHz. But at any rate, trying to compare this early AMD model with Intel’s existing line-up is something of pointless exercise at this stage. All of this assumes that this speculation is on the mark, of course, and we’d exercise a fair degree of caution in that respect. Still, it’s a potentially exciting glimpse at what AMD has planned nonetheless. Server (Epyc) processors based on Zen 2 have already been shown off back at Computex, where AMD’s CEO Lisa Su indicated that the firm is now working Zen 2 into retail products. We can expect the first server-targeted chips to launch early next year. We can apparently look forward to something like a 10 to 15% improvement in instructions per clock with Zen 2, and a maximum of 32-cores on the flagship processor, although there’s allegedly a mighty 64-core CPU for servers. Earlier this year, AMD said it has already begun work on Zen 5 processors, no less.